FOUNDATION : A NEW ERA OF ORGANIC CITY-BUILDING SIMULATION! 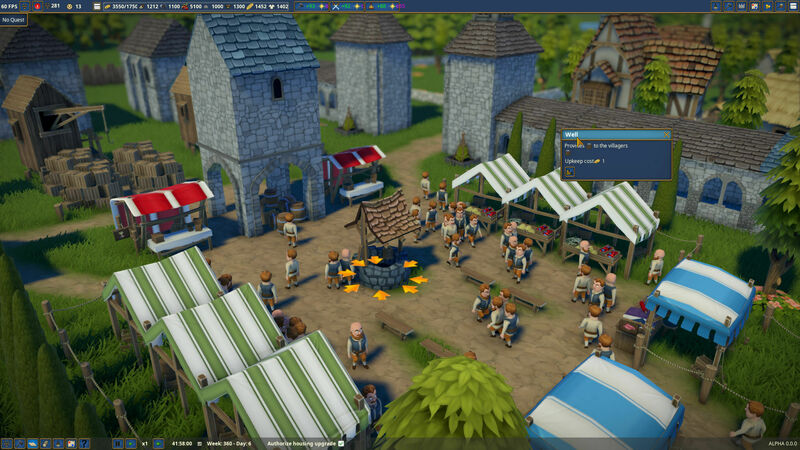 In this strategy/city-builder/economy simulation game, players must create a prosperous settlement as the newly appointed lord of a region untouched by man. Setting to redefine the city-builder genre, Foundation puts the emphasis on the organic aspects of urbanism in the cities of old, powered by Polymorph Games’ proprietary game engine, Hurricane, which allows for full mod support and is optimized for the thousands of moving parts that come with building humongous cities. 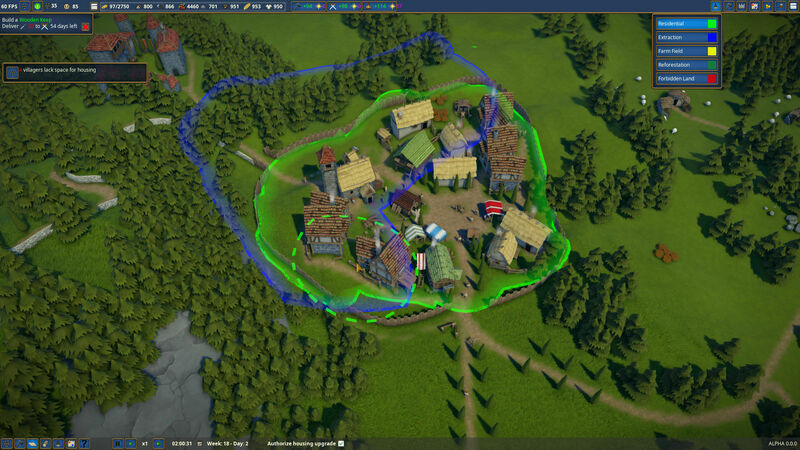 Among other things, the engine provides the player with robust building tools, to create countless unique monuments that will seamlessly integrate into your settlement. 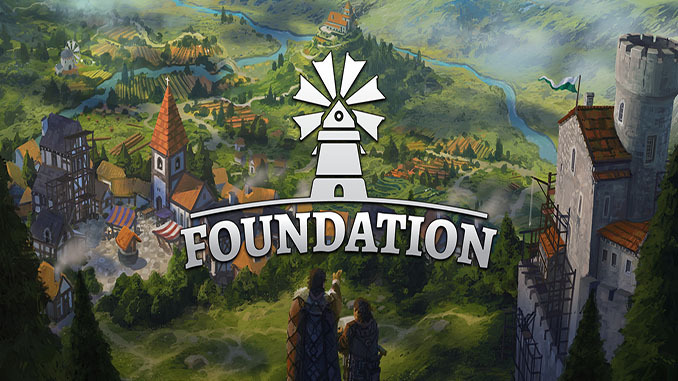 With medieval architecture and urbanism at the forefront of its design, Foundation’s vision is to allow players to recreate cities of that period as they envision them or even as they really were. ORGANIC URBANISM OF THE MEDIEVAL ERA: Create gridless and organically sprawling cities that grow like actual medieval cities. LAY THE FOUNDATION, THRIVE, AND PROSPER: Weave a complex web of interactions between inhabitants needs and skills, resource availability, extraction, and goods production. UNIQUE MONUMENT CREATION TOOL: Craft and design original free-form monuments like Abbeys, Churches, Lord Manors, Castles and more, with our proprietary node-based tool. 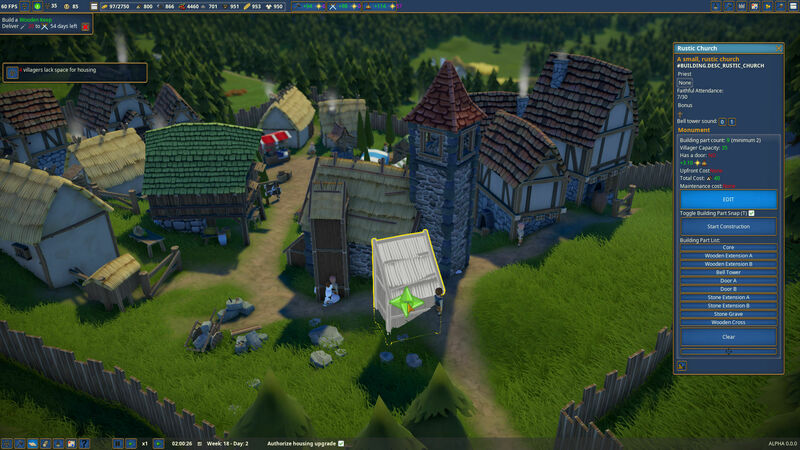 FULL MODDING SUPPORT FOR THE COMMUNITY: Share characters, buildings, quests, and even real topographies through our mod-support tool and be part of the Foundation community. POWERED BY OUR OWN HURRICANE GAME ENGINE: Experience a city-building game engineered with a dedicated, tailor-made, in-house engine built with our unique vision in mind. ORIGINAL SOUNDTRACK BY PARADOX VETERANS: Immerse yourself in our blissful soundtrack by talented composers who worked on titles such as Crusader Kings II and Europa Universalis IV! any idea when it will be updated to the latest version? did you meet the system requirements? when it start it instantly crashes am i the only one with this problem ? THis is still in development stage and still have a lot of bugs maybe it still dont work on your system at the moment. Can you post your system specs on the comments? it keeps crashing =[ Fix it please? nice game but limited version at the moment . Since it is alpha version, there are bugs in this release which can cause the game not to work as expected. Overall very rich graphics, controls are bit not very user friendly. I will love to play the full version whenever it is available.